Google Maps revolutionized how we travel. Google Trips will revolutionize how we vacation. The Google Trip app was released this week. It's free. The app uses data from your Gmail account, Google Maps, and crowd sourced contributions from other travelers to create a "personalized tour guide in your pocket." Additional information is available in the Google blog post announcing Google Trips. 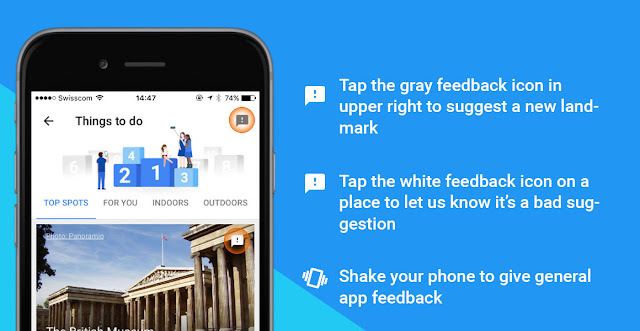 Earlier this year, Google tested the Google Trips app with Google’s Local Guides community. Local Guides help to improve Google Maps by writing reviews, correcting listings, and adding photos. As a member of Google Local Guides, and owner of the Croatia Local Guides Community, I helped improve the data about Croatia, and especially Istria. Based on the beta testing feedback, Google improved quality of suggestions for 'Things to do,' added points of interest, accounted for opening hours and distances between attractions for route suggestions, added 'Day Plans,' and improved integration with Google Maps. Things to Do: Cool places near and far. Food & Drink: Restaurants, cafes, and bars/pubs. Reservations: Reservations and details from your Gmail. 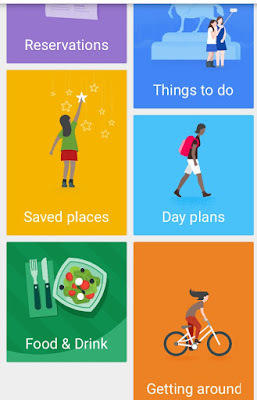 Saved Places: Places you've saved in Google Trips. Day Plans: Most popular day plans and itineraries for the top 200 cities worldwide. Create Trip: All trip information in one place. You can also download all the information about that destination for offline access. One of the best features of Google Trips app is that it syncs with saved places in Google Maps. As you discover places you'd like to visit, save them in Google Maps and they’ll automatically show up in the “saved places” section of the Google Trips app. How cool is that?! 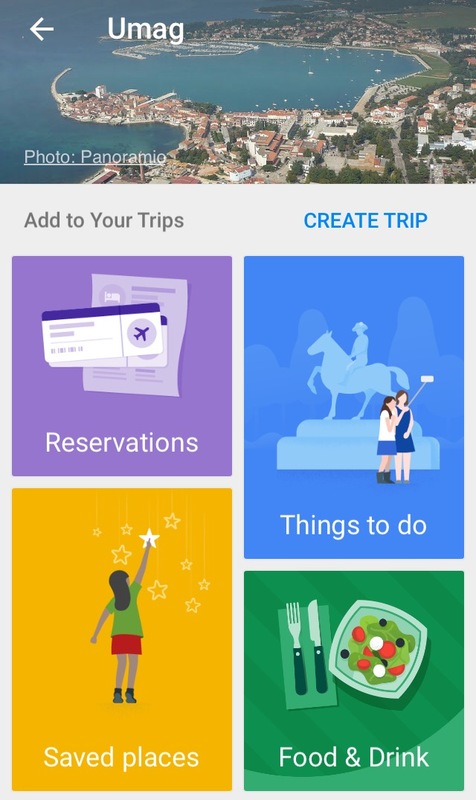 The Google Trips app can do a lot but it's still just a start. The app will only get better with additional places that will be added and user data that will be generated, new features that are yet to come, and improved integrations and functionality based on user feedback. With time, Google Trips will truly become a personal travel guide.